From November 2018, homeowners and business owners in Singapore can opt to switch to another electricity retailer at a price plan that best meet their needs under the new Open Electricity Market (OEM) initiative. The nationwide initiative will give consumers more choice and flexibility, while enjoying the same supply through the national power grid. As of 1 April 2018, the Energy Market Authority (EMA) soft launched OEM in Jurong. The rest of Singapore will be able to choose their retailer once the OEM is fully launched in the second half of 2019. 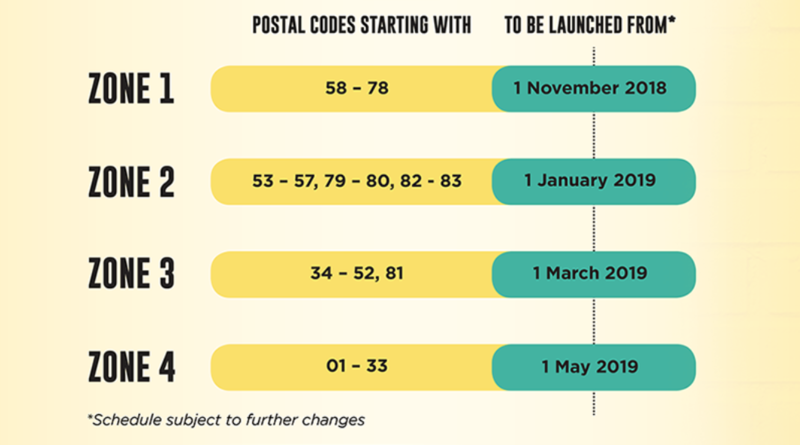 This schedule is accurate as of 21 September 2018, and consumers in Jurong with postal codes 60-64 have been able to buy electricity from a retailer since April 2018. 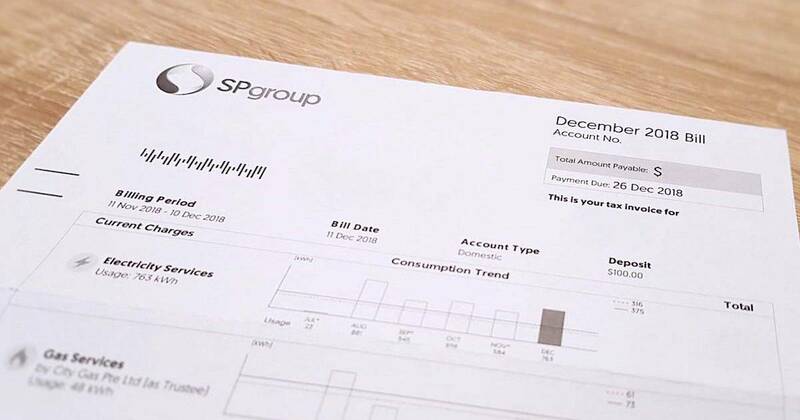 First and foremost, switching to an electricity retailer is not compulsory so you can still continue to buy electricity from SP Group if you wish to. If you decide to make the switch, note that you can do so anytime — there is no hard deadline for you to switch. Your electricity supply will not be affected during this transition period. The new electricity retailer will work with SP Group to make the switch for you so you don’t have to do anything on your end! There are a total of 13 retailers for homeowners and small business owners (with an average monthly consumption not exceeding 2,000 kWh) to choose from. However, larger business owners with an average monthly consumption of at least 2,000 kWh (monthly electricity bill of at least $400) can buy electricity from any licensed electricity retailer. What To Consider Before Switching? 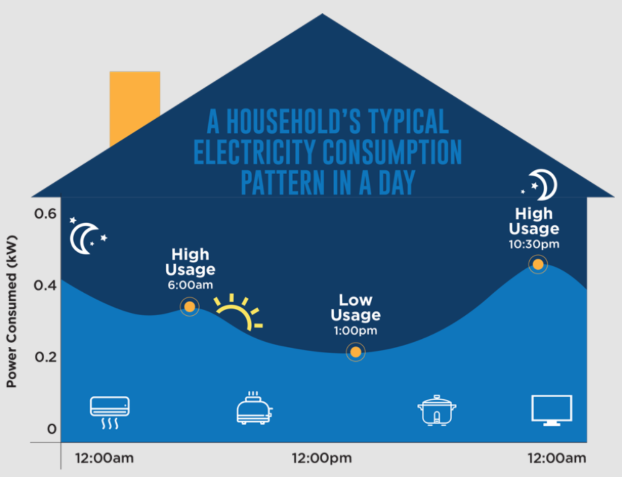 For starters, find out how much electricity you are using per month or refer to SP Group’s National Average Household Consumption data for an estimate. You can also utilise this comparison tool to find out the rates of the different electricity retailers and your estimated monthly bill based on your average monthly consumption. Fixed Price Plan – Pay a fixed rate (eg. $0.20/kWh) for electricity throughout your contract duration. This plan is suitable for consumers who prefer certainty over price and bill size. Discount Off The Regulated Tariff Plan – Enjoy a fixed discount off the prevailing regulated tariff (eg. 5% off) throughout your contract duration. This is suitable for consumers who do not mind that their electricity rate changes every quarter so long as it is lower than the regulated tariff. With regards to which is the cheapest, it all depends on the regulated tariff, which is reviewed every three months. Presently, the Fixed Price Plans range between 17.98 cents/kWh and 23.01 cents/kWh, while Discount Off The Regulated Tariff Plans offer between 10% and 23% off the regulated electricity tariff. Some retailers also offer modified price plans, such as the peak and off-peak plan where you pay more for electricity during the peak period and vice versa. The timings may differ for each provider, and you will also be required to install a smart meter at home. For the environmentally conscious, there are also plans that utilise renewable energy or carbon neutral electricity. Be sure to thoroughly read the contract before signing it! Do not rush into making a decision because there is no deadline for switching, so take your time to understand your options. Your contract can start as early as five business days after your retailer informs SP Group to make the switch. Best Electricity – $20 bill rebate for for 24-month contract, 1% cash rebate with POSB Everyday Card. Diamond – All residential plans come with a free AIA Personal Accident Insurance with coverage of up to $20,000. UOB cardholbers also get $24 electricity bill rebate + up to 5% card rebate with UOB One Card. All users will receive $22.50 electricity bill rebate if they refer their friends to sign up. ES Power – $20 worth of Grab vouchers for sign-up, and an additional $5 Grab voucher for GIRO payment. iSwitch – Enjoy lower rates from $0.1754/kWh, free air-conditioner servicing, free AIA Personal Accident Insurance, 1% cash rebate with POSB Everyday Card, up to 5% cashback with UOB One credit card bill payment ($50 rebate on 12-month bill). 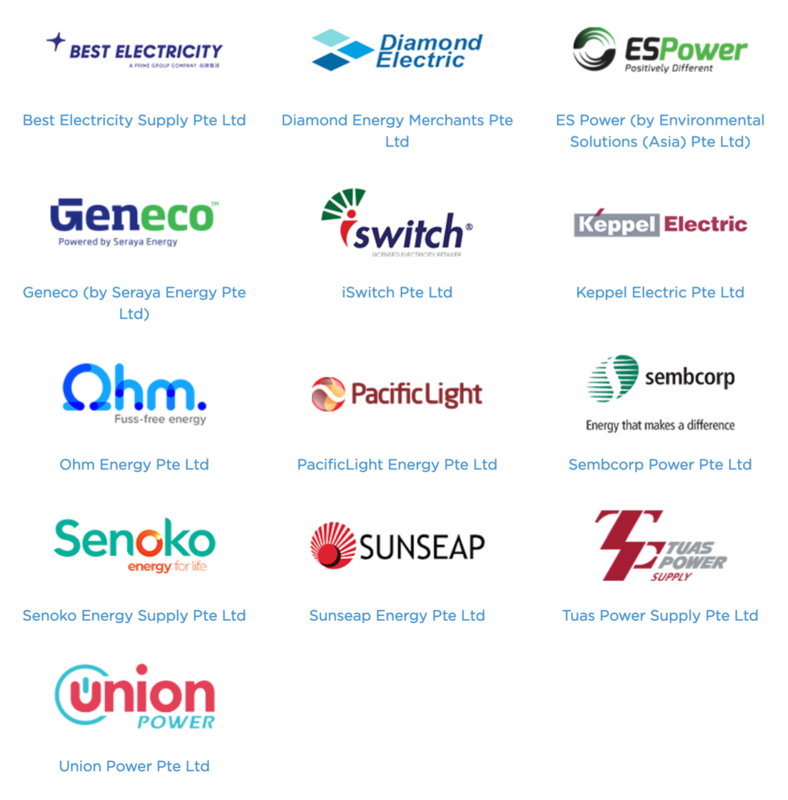 Keppel Electric – Enjoy lower rates from $0.1768/kWh + $40 bill rebate with promo code ‘KEPFORTY’. OCBC cardholders get one-time $40 rebate upon sign-up with promo code ‘OCBCCARD’. NTUC Plus! members earn 2,500 LinkPoints upon sign-up of 2-year plan with promo code ‘NTUC0025’. Ohm Energy – $20 off bill with promo code ‘OHMREF43368A’. PacificLight – $80 rebate upon sign-up with American Express card, $40 credit on American Express card with $10 minimum spend. All users will receive $32.10 rebate ($21.40 for referee) for referring friends. Online exclusives: Up to $62.06 rebate and waiver of security deposit when paying with UOB cards, and free 3 months Go Select subscription on StarHub Go as well as $32.10 rebate. Sembcorp Power – Free Great Eastern 12-month Home Protection Plan. NTUC members get $25 or $60 bill rebates (valid till 31 March 2019). $40 cash rebates upon sign-up with OCBC cards, limited to first 4,000 new customers (valid till 30 April 2019). One-time $40 bill rebate for for 1st month with Maybank cards. $40 credit on American Express cards with $10 minimum spend (valid till 30 June 2019). Users who sign up for Sembcorp 24-month Fixed Price Plan get free smart home package (Google Home Mini, 2 smart sockets, 2 magic cubes). Senoko Energy – UOB cardholders get one-time rebate of $35 and up to 5% monthly rebate with promo code ‘UOBSE35’. OCBC cardholders get one-time rebate of $40 and up to 3% monthly rebate with promo code ‘OCGET40’. Both valid till 30 April 2019. Seraya Energy (Geneco) – $60 off bill with promo code ‘REAL60’. NTUC members earn 4,000 LinkPoint upon sign-up of Get It Fixed 36 months plan with promo code ‘PLUSGENECO’. American Express cardholders earn $40 credit via recurring bill payment. OCBC cardholders $40 cash rebate via recurring bill payment, limited to first 4,000 sign-ups. 1% cash rebate with POSB Everyday Card. UOB cardholders get 5% UOB One card rebate + additional 1% UOB for 12 months. Sunseap – Up to $65 worth of rebates and Grab rides for online sign-ups (valid till 31 March 2019). UOB cardholders get up to $40 savings with promo code ‘SUNSEAPUOB40’ (valid till 30 April 2019). Tuas Power – Get $60 rebate upon sign-up for a 36-month contract with promo code ‘TPWE1’ (valid till 24 March 2019). Online sign-ups get $30 rebate with promo code ‘TP30’. Free 12-month AVIVA Home Contents, Personal Accident or Travel Insurance for sign-ups. 1% cash rebate with POSB Everyday Card. Referrers get $20 rebate for each successful referral, and referees get a $20 (Referral Bonus) + $30 (Online Sign Up Bonus) bill rebate. Union Power – Up to 22% off regulated tariff, free Union Home Contents Insurance, free grocery vouchers worth $20, 1% cash rebate with POSB Everyday Card. You can always switch back to SP Group if you feel that the fixed or discounted prices are not your cup of tea, but be sure to check on the early termination charges! Your retailer also cannot cut off your electricity supply as and when it pleases. If your retailer wishes to stop selling electricity to you, your retailer is required to inform you at least 10 business days before terminating your contract. Thereafter, you will be automatically transferred back to SP Group at the regulated tariff unless you choose to switch to a new retailer.